At the right time and place. Practically everybody enjoys boasting their latest gossip and opinions on a topic under discussion. Are you one of these individuals? Whether your a boisterous chatter box, or prefer to remain discrete in group socials. Prepare to express your valuable knowledge and expertise as an anonymous panellist at Opinion World’s global site. Are you over the age of 18+? Opinion World will allow you to type out and click your thoughts through it’s website panel. Answer some questions revolving around a wide range of topics related to your unique identity, personal qualities and other targeted demographics. Why would I choose to go out of my way to blabber my thoughts on some random survey website? Is it really worth the amount of time and energy needed to invest here? Well the question is simple enough to answer. In exchange for your valuable time and logical reasoning. You’ll receive a modest reward that can be redeemed, cashed out in a variety of ways! Opinion World is a panel owned and operated by Survey Sampling International (SSI), which is a Limited Liability Company (LLC). 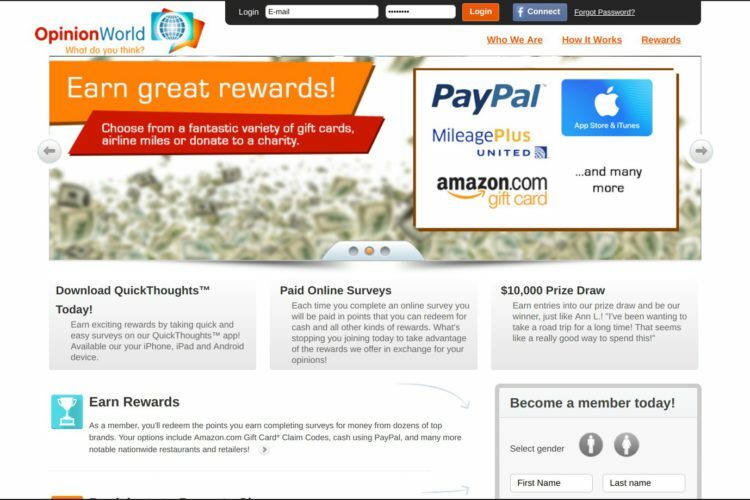 To become a member of OpinionWorld you simple need a reliable internet connection and join up through the sign up/login page. Depending on your country of residence. You will need to go through your countries specified domain name extension. Each of these websites facilitate, execute the exact same processes at the end of the day. They all act as a survey feeder. Sending surveys into members email boxes regularly. The content written within these websites are a little different to each another. Some of which are structured in a unique way and some have a different website theme altogether. Some survey websites require you to pay for membership privileges. No need to pay here at Opinion World. Opinion World Is FREE to participate in. Know you will not be stuck in any payment contracts with OpinionWorld. You can leave at anytime of your choosing. If you ready to move on to bigger and better things online. You never can predict how often a survey will rock your way. To have the highest predictability of obtaining these questionnaires. 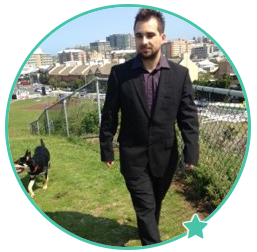 Fill out all of your research goals, personal attributes inside your members profile section. This will no doubt maximise the likelihood of matching you up with some large businesses, governments, public bodies seeking your valuable attitude and opinion on their product or services. Your opinion’s really do matter to these large corporations! Your help can shape product design and development, find fair prices and boost their advertising campaigns that target consumers. Remember to update any information within your profile when changes to your lifestyle occur. Opinion World is clearly not a scam. OpinionWorld operates in 36 countries from around the world. Each country’s domain extension has it’s own unique country code at the end of the URL address. Every survey that you will receive can take on average – 10 to 15 minutes to knock out. Note, not all surveys are created equal! The longer the survey’s length tends to offer higher reward points. Opinion World respects your personal privacy first and foremost. Your information will not be sold off to third party websites, according to there frequently asked questions (FAQ’s) page. Nor will OpinionWorld advertise/promote products or services to you electronic mailing carrier (e-mail address) like a lot of affiliate marketers desperately do. If you have any privacy concerns and want to see if you can opt out of anything before joining. Note that you cannot participate in any auditory surveys via your smartphone. You will require a healthy internet signal to complete all questionnaires given via the power of the world wide web. When you finish any particular survey sent to your inbox. You will receive reward points for your efforts. Plus entered into the ‘quarterly prize draw’ or sweepstake’s’s event held every 3 months. 1 entry point – Create an account. 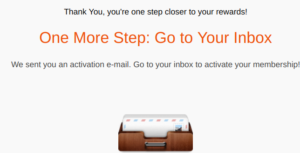 1 entry point – Every time you complete a survey. 1 entry point – Reach a screened out notice. 1 entry point – Reach your daily quota. 1 entry point – Update your profile when asked. If you are lucky enough to win one of these random sweepstake competitions. Expect to be notified via email, phone call or get your letter of winning posted to your home mailing address. Maybe you might get all 3. Are you going to be the one fortunate person that wins $10,000.00 in the quarterly sweepstake’s draw? You never know, right? 1000 points is the minimum requirement to be able to withdraw via PayPal! 1000 points = $10.00 so create a PayPal account if you do not have one. PayPal can be used to transfer moneys into your nominated banking institution. I use National Australia Bank. How about you? 10 points can be transferred over for 1 entry point into the sweepstake’s’s quarterly prize draw. 30 points = 3 entry points, 50 points = 5 entry points, 100 points = 10 entry points. 500 points can be redeemed for $5.00 Amazon gift cards. Go on a mini shopping spree. 1050 points and trade for MilagePlus award miles. 1050 points = 300 award miles, 1750 points = 500 award miles, 3500 points = 1000 award miles. 50 points = $0.50 for donations to the Red Cross appeal. 50 points is the lowest possible donation rate. Help Red Cross with disaster funds, assisting the collection of blood and support the military and their families during crisis times. Visit Redcross.org by your own initiative and make a donation if you want to help these amazing people out. One thing is for sure. At Opinion World, you can redeem points for some popular product listings through recognisable brands/companies. There’s currently 144 businesses that you can trade your points with. I.e. Bed Bath & Beyond, Dell, iTunes, Microsoft Xbox Live and Uber just to name a few cash out hotspots. Earn your virtual badges. Obtain these as you slowly pass milestones from your efforts and exploits inside the OpinionWorld platform. If you have a heart of gold, donate to your favourite charity listed within. Automatically earn 1 entry point into the sweepstake’s jackpot every time you complete a recommended survey. You need only make 500 points to redeem for the $5 Amazon gift vouchers. Free to become a registered member. Opinion World is not designed to make you much income online. Your pretty much wasting a lot of energy when you could be building a lucrative website. Do you think that taking internet surveys will make you a lot of passive income? The sad reality is that the safest way to truly derive a secondary income is by monetising your very own website asset. A.K.A blog! This is because you have complete ownership of it. You can do with it what you will. It’s your intellectual property. If your interested in finding out how to create a thriving website and learn how to build it out properly using monetisation strategies? Then here’s a quick review to get you started on the right path. To survey or not to survey, that is the question! If your an opinionated individual and like to be heard. Then by completing surveys on the side could be a fun pastime for you. If this sounds like you. Prove that your an opinionated personality type. Prove this by voicing out your thoughts at the comments section below. Be social and share on your favourite social media outlet.